After years of trying and after almost giving up, my sister Jodie has found out that she is pregnant! I found out when I was in Abu Dhabi. She told me because I would eventually inquire about her non-alcoholic beer She was waiting a few more weeks to tell the family. I went shopping while she and David went to their first ultrasound appointment. Jodie was very nervous because she is considered too be in a higher risk category because of her age. When they met me at the mall Jodie showed me this (above). 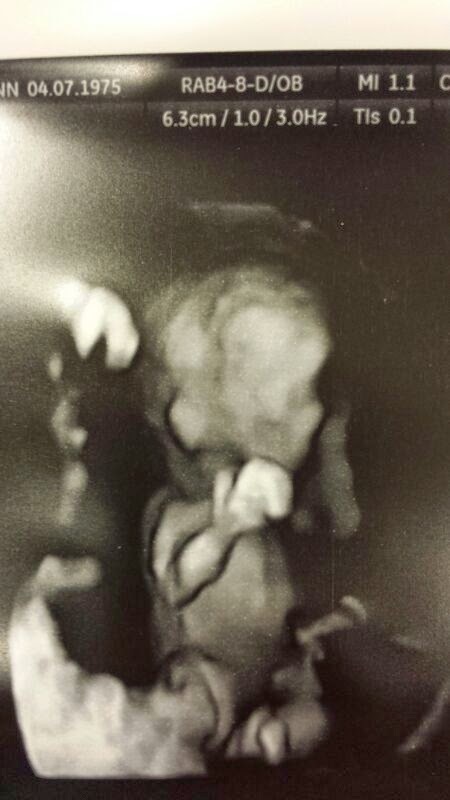 I had never really looked at many ultrasound photos in my lifetime so I couldn't sort out heads or tails. Jodie had to point out that there were 2 heads and 2 tails! 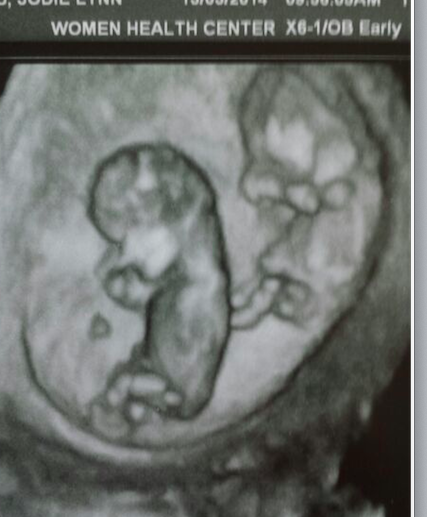 I was better at sorting out the ultrasounds that were taken a few weeks later (above). I am pleased to report that the babies are doing well. Unfortunately, Jodie has been sick and exhausted the whole time. She will be having identical twins. She may find out if I will be gaining 2 more nieces or 2 nephews during her next ultrasound. Her doctor could have told them last time but they wanted to think it over a bit more..... time will tell. You will make an amazing Aunt, Stacey. That's so exciting for you sister and BIL. My niece has just had twins and we're just loving those two beautiful little boys. Having two of them is great because there's usually one free for a cuddle. That is really awesome! Congrats to them!